The latter portion of this tape suffers excessive tape dropout, affecting both sound and picture. Henry Cabot Lodge was a United States Senator from Massachusetts, and Ambassador to South Vietnam from 1963  1964. He viewed South Vietnams president Ngo Dinh Diem as an ineffective leader, and tacitly supported the coup that overthrew him. Mr. Lodge discusses the circumstances of his appointment as Ambassador, and his impressions of Vietnam prior to going. He recounts the advice and instruction he received from other advisers, especially regarding Diem, and details his role in the events surrounding the coup. He describes Diems personality and his own view of the war after the coup. 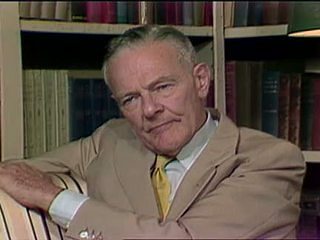 Chicago: “Vietnam: A Television History; America's Mandarin (1954 - 1963); Interview with Henry Cabot Lodge, 1979 [Part 5 of 5],” 01/01/1979, WGBH Media Library & Archives, accessed April 21, 2019, http://openvault.wgbh.org/catalog/V_7E951EDFA03047D884EA7347DB73EF67. MLA: “Vietnam: A Television History; America's Mandarin (1954 - 1963); Interview with Henry Cabot Lodge, 1979 [Part 5 of 5].” 01/01/1979. WGBH Media Library & Archives. Web. April 21, 2019. <http://openvault.wgbh.org/catalog/V_7E951EDFA03047D884EA7347DB73EF67>.